Heat Elite Player Ashlei Lopez Picks Up Offer! Shout out to Rockford Heat Elite Senior Ashlei Lopez(Rockford Lutheran) for picking up another offer from Morehead State University. This 5’8”, Class of 2017, Combo Guard/Shooting Guard has worked relentlessly to sharpen her skills and in the process has racked up many accolades that any coach would be impressed with. Ashlei will be playing in the NCAA Live Event on September 23rd-25th during the USJN Oktoberfest in Waukegan. Coaches will want to take note and get in contact ASAP! Keep up the hard work Ashlei! Ashlei Lopez Selected as USJN All Star! Shout out to Heat Varsity Elite Player Ashlei Lopez(Rockford Lutheran High, Class of 2017, Guard) for being selected to the USJN Pool “M” All Star Team for the USJN Midwest Final held in Waukegan July 27th-29th. Her scoring abilities are clear as soon as she starts, she can easily knock down 3 pointers and get to the rim with ease! Ashlei’s range from the 3 point line is deep and deadly! Ashlei is a left handed player that has nice on ball defense and offensively will easily catch defenders off guard by setting them up going right and hit them with a quick left cross that helps generate easy drives to the basket. Ashlei is a player that ALL college coaches will want to watch and get in contact with ASAP! Great Job and keep up the hard work! Shian Galbreath Selected as USJN All Star! 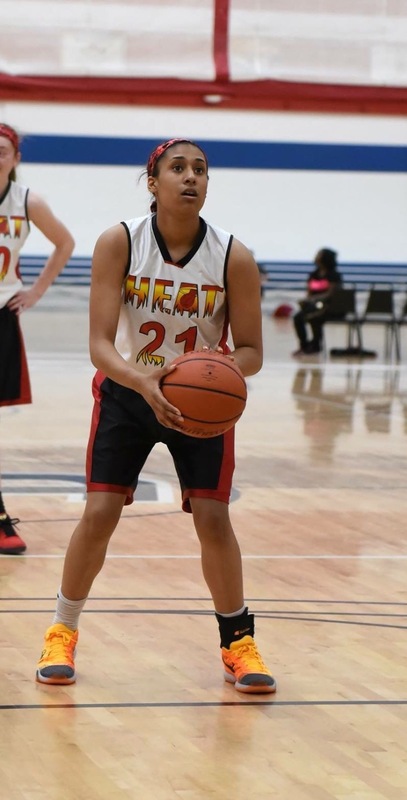 Shout out to Heat Senior Shian Galbreath (Guard, South Beloit High School) for being selected to the USJN Pool “K” All Star Team for the USJN Midwest Final held at the end of July in Waukegan during the last NCAA Live Event of the Summer! Shian is a blue collar guard that plays great on ball defense against anyone, has quick feet to cut off the drive and quick hands for steals. Shian is a physical guard that has a nice crossover and uses her strength to get to the rim and finishes with ease! Even though she has strong abilities to get to the rim, Shian is also a really nice 3 point shooter that racks up points quickly! Shian, Class of 2017 is a player that all college coaches will want to watch and get in contact with! Olivia Hagerty Selected as USJN All Star! Shout out to Heat Junior Olivia Hagerty (Guard, Rockford Guilford High School) for being selected to the USJN Pool “K” All Star Team for the USJN Midwest Final held at the end of July in Waukegan during the last NCAA Live Event of the Summer! Olivia is a guard that brings defense right at you and will aggravate anyone! Olivia has nice ball handling abilities and can take contact without being phased! Has a strong build to help get to the rim and finish left or right while being able to knock down a three! Olivia Hagerty is a player that all college coaches will want to watch and get in contact with! Hannah Malcomson Selected as USJN All Star! Shout out to Heat Sophomore Hannah Malcomson (Shooting Guard, Rockford Lutheran High School) for being selected to the USJN Pool “T” All Star Team for the USJN Midwest Final held at the end of July in Waukegan! Hannah is a guard that does a great job bringing pressure defense and helping create turnovers. Hannah is a guard that can get down the floor quickly in transition, knows how to get in position for scoring! Hannah is a shooter with nice range that also attacks the rim to keep the defender guessing! Hannah Malcomson is a player that all college coaches will want to watch and get in contact with! 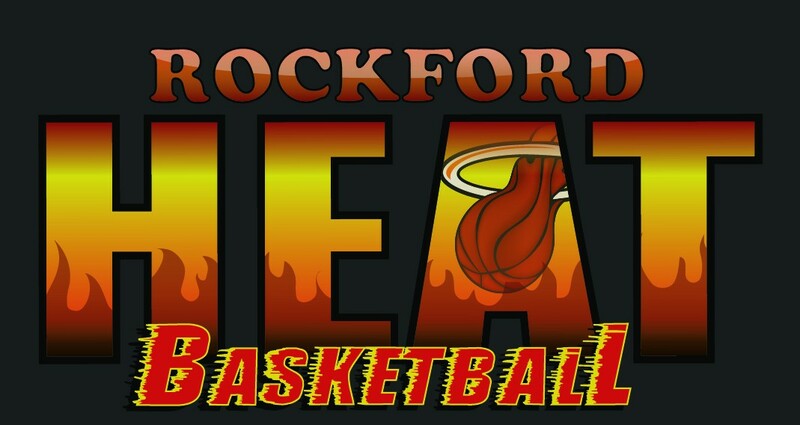 Rockford Heat Girls High School Fall Session Rosters POSTED! 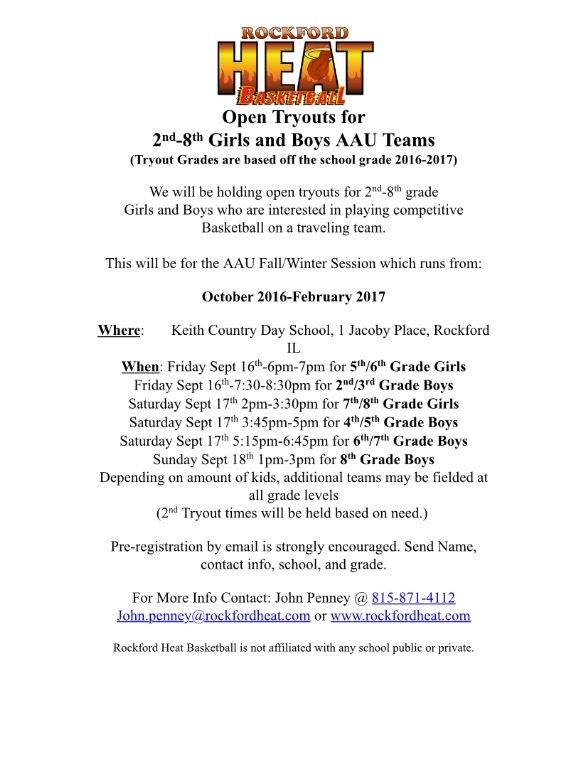 Rockford Heat Girls High School Fall Session Rosters are POSTED! There will be NO parent meeting this season for the High School Fall Session, Payment can be made in person on Friday August 19th at 5640 Sockness Dr., Rockford IL 61109 from 3pm-6pm or mailed to Rockford Heat, 4692 Chandan Woods Dr., Cherry Valley IL 61016. First Practice will be Sunday August 28th 4-6:30pm. If you are unable to accept your spot please inform John Penney ASAP!